Keep track of visitors coming to your home and prevent unwanted visitors to enter, from anywhere you are. Historical record of all visitors to your flat is available at your fingertips. 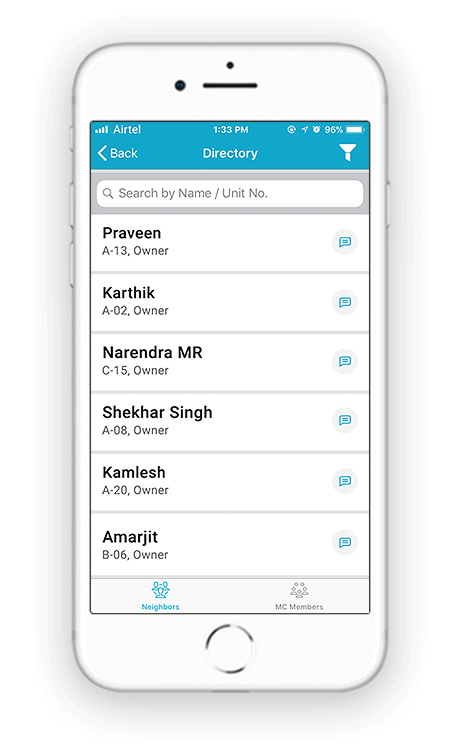 To know whether your Cook/Maid/Driver has come to your complex, all you need to do is check your App. Be in the know of other apartments your domestic help is working in and other information like their bank details, for making online salary payment. Though inside the gates of your residential complex, there can be several occasions where you might need immediate help. It may be an unwanted person trying to enter your flat, it maybe a burglary you witness or a medical emergency at home. 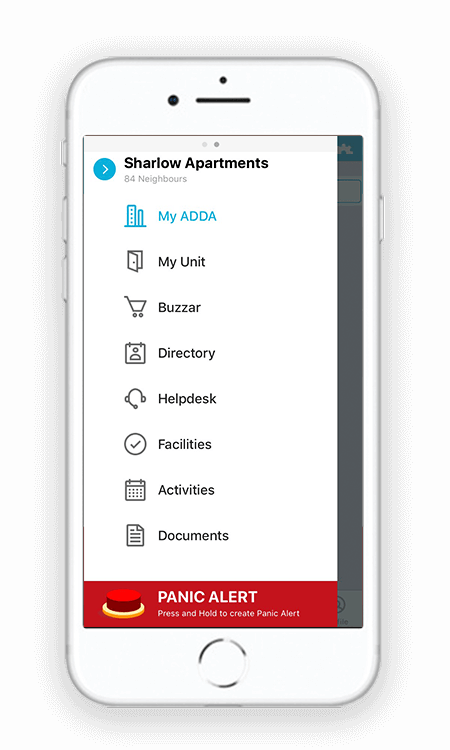 The Panic Alert feature, with a single button press, guarantees swift emergency assistance from the people who are the nearest, Neighbors & Security Guards. 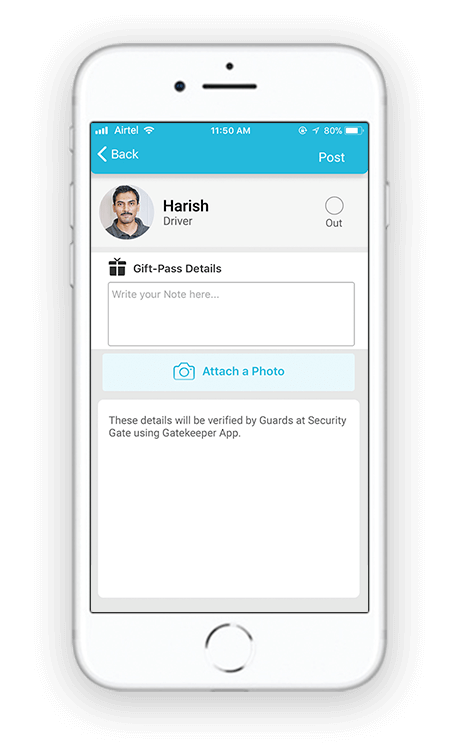 Residents can now send an online note to the security guard, when they give material goods or cash to their staff (maid / cook / driver, etc.). This helps the security guards verify the items being carried out by them and Residents to maintain a record. You can also attach a photo of the item given to your staff for the guards to perform a visual check during staff checkout. When a visitor comes to your apartment, the best person to authorize his/her entry is the person who is at home. This maybe your homemaker or aged parents (there is no need for a smartphone for availing this feature). ADDA Security provides a smart way to provide an At-Home number to the security guards to call and authenticate visitor entry. Next time your maid/nanny/cook leaves for some reason, worry not. 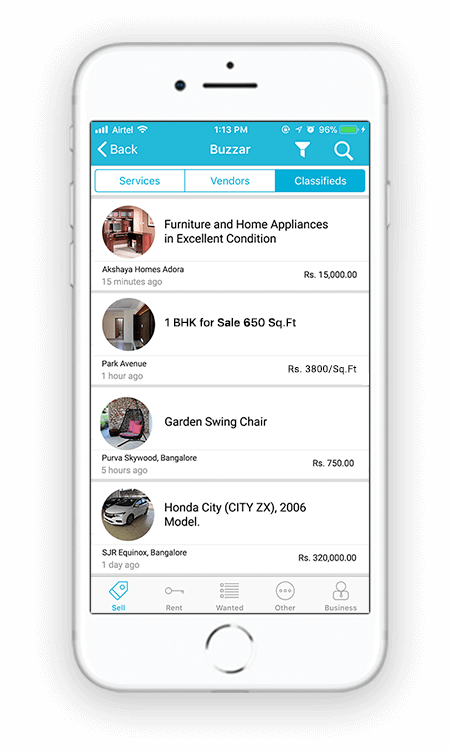 You can quickly look for a replacement through ADDA. 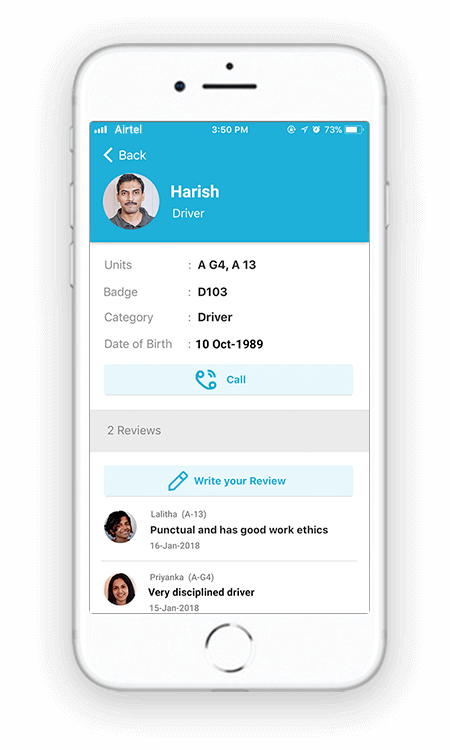 Moreover, you can make an informed decision, as ADDA now shows a list of all domestic staff working in your community, along with reviews gathered from your neighbors. Make your guests feel welcome by pre-authorizing their entry to your apartment. Guests will get notifications, complete with map location of the complex and your flat number. 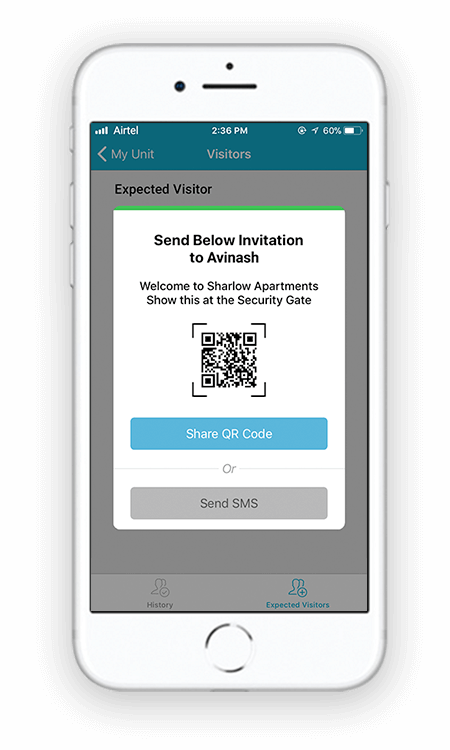 This notification will be used at the gate to provide a seamless entry to guests. 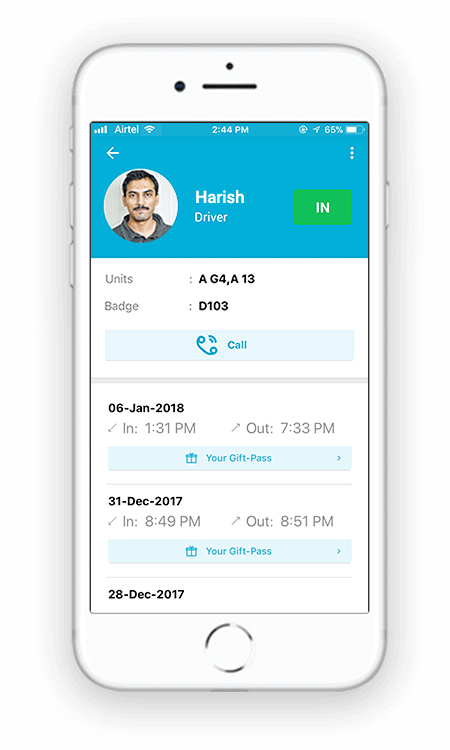 The notification can be of two types - A Quick Response code valid for the selected multiple dates (can be reused as per the allowed dates) and as an SMS verification. 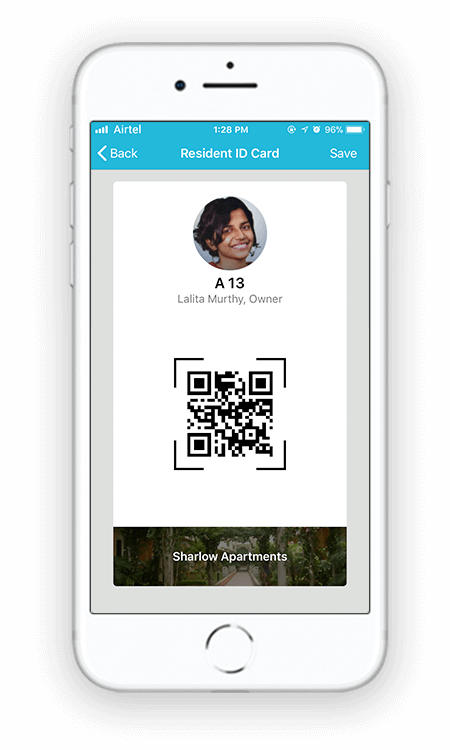 Now every resident can carry their resident ID card in their phones! This ID card can be used to authenticate residents at the security gate or clubhouse and prevent thereby unauthorized entries. 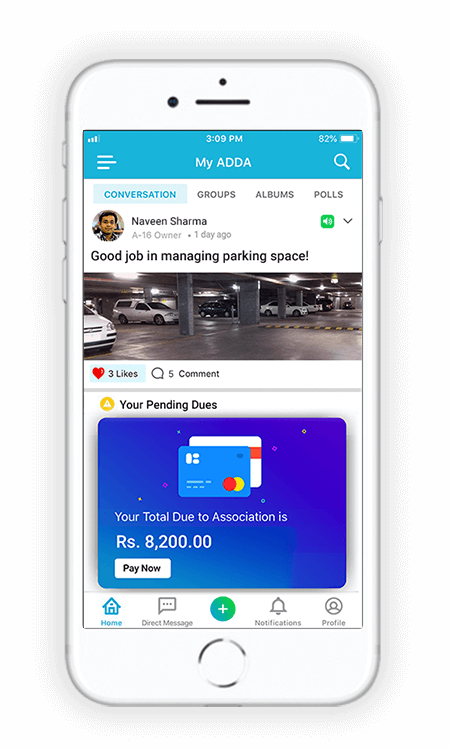 ADDA gives residents and MCs a private social network to interact and collaborate for various causes. Discussion forums - A space for organized discussions on matters related to the apartment. Groups - A feature that allows like minded members of the society to come together and share their thoughts. Photos - Preserve photos of community events through Albums. 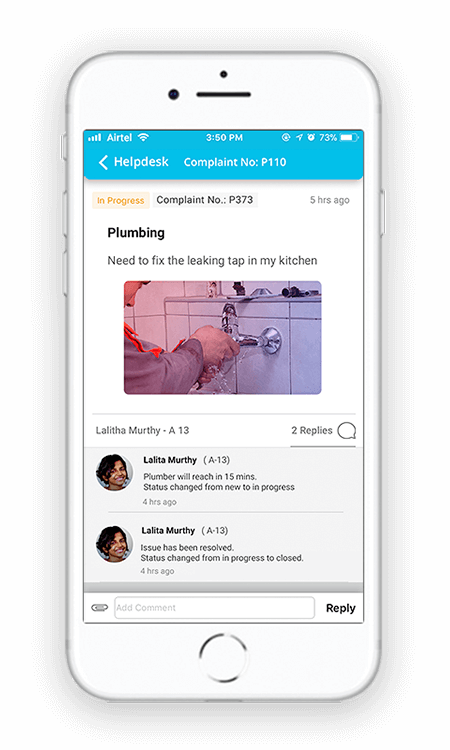 Raise maintenance requests, Ask queries to your Management Committee right from your App. Track progress till closure & provide feedback for tickets. 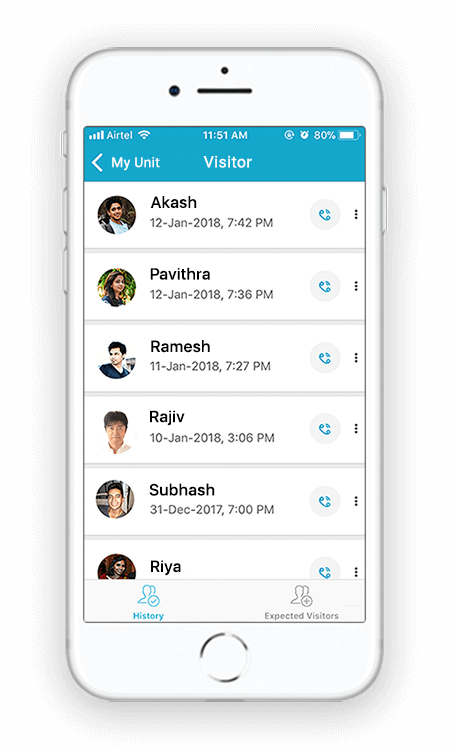 View list of your Neighbors, Management Committee members, place calls to them right from the App or initiate one to one Conversations. Experience Convenience, build a Smart Community.